You are here: Home / Content Marketing and Campaigns / Best Practices and Tactics / Will Facebook City Guides make trip planning easier? 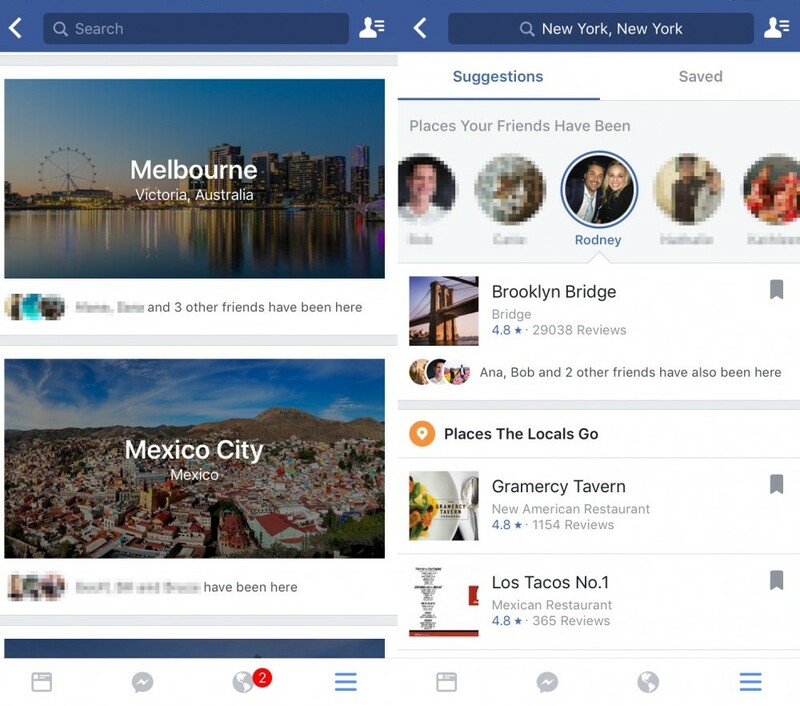 Facebook is an increasingly popular tool for travel recommendations, and the recent launch of its City Guides service is a natural next step. The new feature gathers travel-related content from across the social network and organizes custom recommendations in one place. Users can choose from a list of cities around the world, find suggested things to do, and book hotels and restaurants. Most importantly, it helps people get the most out of each destination by tapping into a huge network of friends, travellers and local ambassadors, much like Google’s Local Guides program. What does your destination marketing organization (DMO) need to know about City Guides? Your visitors may dig deeper into Facebook for travel recommendations. Since the platform pulls information from across social circles, it provides a large pool of useful recommendations to choose from. City Guides has the potential to showcase the full range of a destination’s experiences and products. Over time, Facebook will be able to connect even more searchable travel data and reviews with user profiles, which will help visitors match their interests to a recommended experience, attraction, or event. The feature makes the entire trip-planning and booking process that little bit easier for visitors. The “Book Now,” “Call Now,” and instant messaging features for venues allow users to do even more without leaving the Facebook platform. This is similar in concept to the rollout of Facebook Marketplace, an eBay-like service that launched in 2016. If there is one City Guides feature that DMOs should keep an eye on, it is “Places The Locals Go”. This tool will allow travellers to clearly compare popular tourist spots against the places that locals actually go to. Destination marketers have a real opportunity here to repurpose these local recommendations into content for their own Facebook page and beyond. You can find City Guides under the “Explore” tab within your mobile Facebook app. First, select a destination city and then see the places your friends have been and the ones they recommend. Have you or your visitors been using Facebook City Guides to assist with trip planning? Please share your thoughts below. How do you get ones destination to show up under “city guides”? Also, how do you view the “Places the locals go”. I’m the Marketing and Advertising Director for Madison, Indiana. I realize that our city isn’t as big and worldly as others, just wondering how I can maximize these tools. Any insight will be helpful.